Today – March 11, 2015 – marks the 4th anniversary of the ongoing nuclear disaster in Fukushima, Japan. There is so much one could say about this horrific accident. One could speak at length about collusion between nuclear regulators & industry – and how this collusion exists not just in Japan, but worldwide. How the sea wall built to protect the site was not improved in spite of the fact that the deficiency was known about for years before the accident, & never rectified (considerable detail about failures on the part of TEPCO & the Japanese regulator laid out in this very thorough, very readable report commissioned by the Japanese parliament). One could discuss reactor cores & how far away “hot particles” were found. Or the daily-daily-daily ongoing release of tons of contaminated water into the Pacific Ocean, causing who knows what unthinkable damage to all the life in that precious, irreplaceable body of water. Or, perhaps, the huge piles of contaminated soils & debris being collected & stored in plastic bags (one related photo here) – bags with pretty short half-lives, you might say; soon enough, no doubt, to re-release the contaminants & re-contaminate earth, water & air) – or in some cases, debris incinerated & thus dispersed hither & yon on air currents (& via bodies of water). The scope of this disaster, in other words, is nothing short of massive. Let’s talk instead about the people of Japan. & how emergency preparedness failed utterly to … prepare them. The “planning” for a real-life accident was not, shall we just politely say, realistic or, to use a term so frequently used by the nuclear industry, robust. First, there were delays in ordering evacuations, and information provided was sketchy and minimal. Many people were evacuated into areas where the winds were carrying the worst contamination. Information was not provided in timely or helpful fashion, and many were left to “shelter in place” and then later advised to evacuate. Many people died in hospitals. From The official report of The Fukushima Nuclear Accident Independent Investigation Commission: “A total of 146,520 residents were evacuated as a result of the government’s evacuation orders. However, many residents in the plant’s vacinity evacuated without accurate information. Unaware of the severity of the accident, they planned to be away only for a few days and evacuated with only the barest necessities. Evacuation orders were repeatedly revised as the evacuation zones expanded from the original 3-kilometer radius to 10 kilometers and later, 20 kilometers, all in one day. Each time the evacuation zone expanded, the residents were required to relocate. Some evacuees were unaware that they had been relocated to sites with high levels of radiation. Hospitals and nursing homes in the 20-kilometer zone struggled to secure evacuation transportation and find accommodations; 60 patients died in March from complications related to the evacuation. Frustration among the residents increased. The amount of falling between the cracks, miscommunication, failure to follow chain of command, delays, lack of transparency, failure to give accurate & timely information about evacuation? All of these were over the top. People are being discouraged from speaking out – even jailed for doing so, I’ve heard. But a disaster economically, environmentally/ecologically ... and also a huge personal disaster for hundreds of thousands of people. Realistically, the entire country of Japan. All these people, people like you & me, ill-prepared for disaster on such a huge scale. In Durham Region (the entire Greater Toronto Area, in fact), we are similarly ill-prepared for a nuclear disaster. A dizzying number of government departments (federal, provincial & municipal/regional) have a finger in the nuclear preparedness pie. (Have a look at what may be only a partial list here ). To even the most un-trained eye, this list represents a daunting number of possible cracks for essential responses, communication & actions to fall between. Nuclear emergency exercises? Take a look at the previous post for an expert take on the real value of these expensive gatherings – designed to make the industry & responders appear ready for disaster, when in actual fact they are merely occasions for figuring out whether everyone has the right phone number to call. Since March 11, 2011 & the frightening wake-up call of that massive accident, several countries have run, not walked, away from nuclear energy, Germany being one outstanding example. “We want to end the use of nuclear energy and reach the age of renewable energy as fast as possible. It’s over. Fukushima has forever changed the way we define risk in Germany,” German Chancellor Angela Merkel has said. In Switzerland, post-Fukushima, nuclear emergency planning has been upgraded to reflect the real-life possibility of a severe accident (instead of planning only for an event of minor severity), and pre-distribution of KI pills is being extended to everyone within 50 kilometres of their nuclear plants. Here in Ontario, there is far too much complacency about nuclear safety & the real risks inherent in nuclear energy production. Complacency & lack of transparency are a dangerous combination. 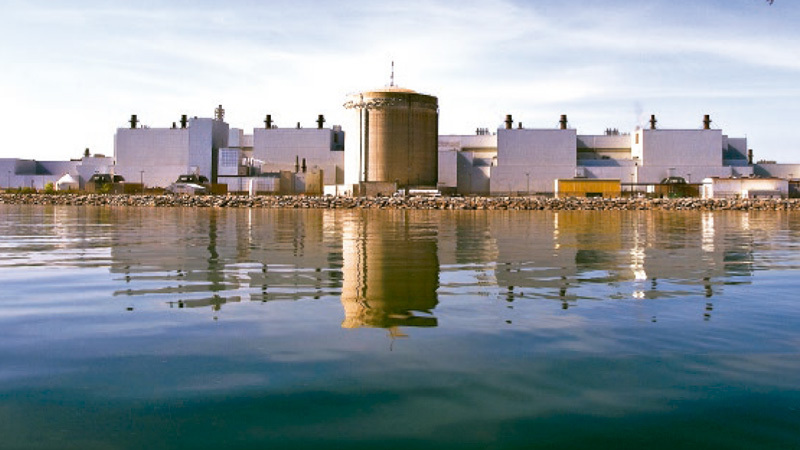 A nuclear accident in Durham Region – so close to the large population centre that is the Greater Toronto Area – would be a horrific punch in the face. We need more robust nuclear emergency planning – now. Beyond Nuclear – Fukushima Four Years On: will it happen here? The official report of The Fukushima Nuclear Accident Independent Investigation Commission (National Diet of Japan) – Executive Summary (88 pages; so worth reading! 88 pages sounds daunting but truthfully, there are many blank pages in the actual layout. Includes surveys of people & workers; so poignant to hear their voices explaining their experiences & frustrations). UN’s UNSCEAR Fukushima Radiation Report Blasted by IPPNW’s Alex Rosen (if you do a search you can also find video on this) --- UNSCEAR = United Nations Scientific Committee on the Effects of Atomic Radiation; IPPNW = International Physicians for the Prevention of Nuclear War. Strong in the Rain – Surviving Japan’s Earthquake, Tsunami, and Fukushima Nuclear Disaster, by Lucy Birmingham & David McNeill. 'Fukushima's Genetic Legacy' -- 9 minutes, features Dr. Majia Nadesan ** fascinating; so much covered in only 9 minutes! The Guardian - 'Fukushima, 4 years on' - 10 minutes. Includes footage of former Prime Minister Naoto Kan. Very moving.